We offer corporate Seattle team building events, programs and consulting, school and youth development programs and interactive rhythm events through our talented Seattle based facilitation team. Give us a call; we’ll help you plan an unforgettable team building event. We offer a full spectrum of innovative possibilities, designed to move your team to high performance using simulation and experiential training. Good ideas a great; great behavior makes great teams. Our team development programs get your people into the action, where learning sticks and behaviors shift. In line with Seattle’s superb Pacific Northwest options, our broad range of Seattle team building programs match beautifully with the city’s diverse settings, world class training venues, and conference centers. Our corporate events, team building training, or company retreats can be delivered in almost any indoor Seattle training venue, and outdoors in unique locations like Rainbow Lodge, Islandwood, or the Warm Beach Conference Center. We also offer experienced and energizing corporate conference facilitation, to assist with navigating change, creating strategic vision, or improving personal and team leadership skills with our High Performance team building training that can be woven into your program design. Contact us, or call 512.293.2400 for more ideas, information, and a quote. If you’re a school or organization that works with youth, be sure to ask us about our Seattle based youth leadership training programs. We look forward to helping you create your next team building program in Seattle! 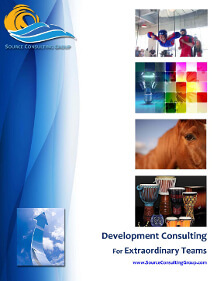 “[Source Consulting Group] provides is inspirational, authentic, charismatic facilitators, who have exceptional skills with empowering teams to be engaged and take action.